Weihai Woda New Material Co.,Ltd.located in beautiful costal city. It is committed to designing,manufacturing, exporting, and servicing all types of plastic packaging,such as fruit plastic packaging bags. We have rich experience in produce fruit plastic packaging bags more than 17 years. After years of production experience and quality testing. 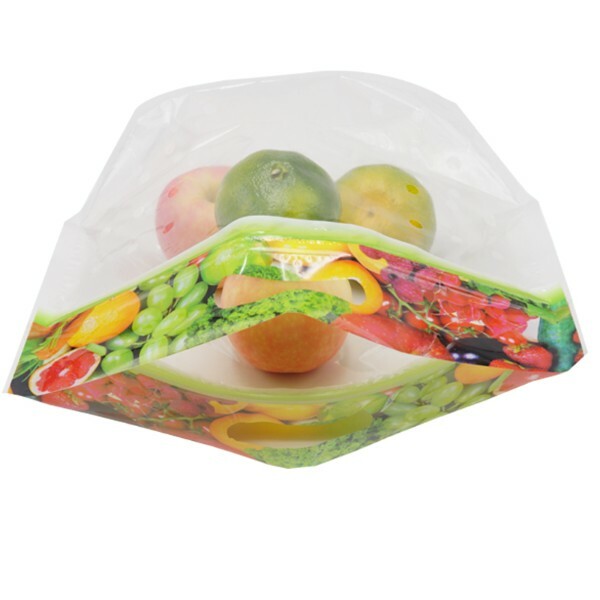 We are sure to be able to provide excellent fruit plastic packaging bags. 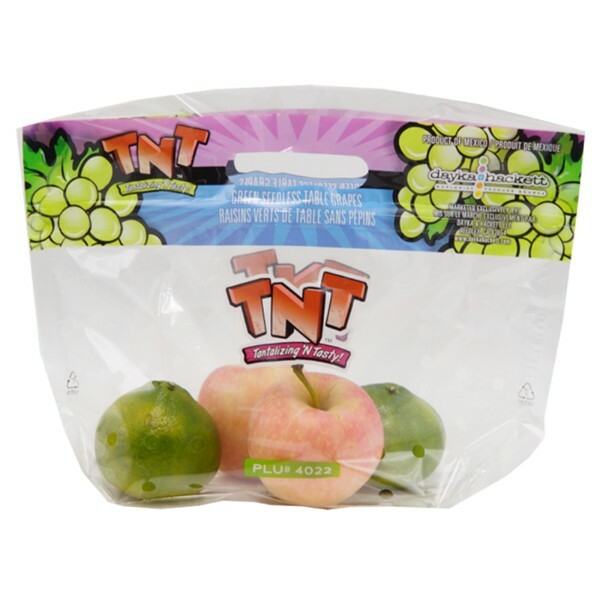 Fruit plastic packaging bags is one of our most popular products. We produced many different varieties of fruit bags, each of which is ideally sized for different customers’ fruit packaging. Fruit plastic packaging bags must be produced from food grade raw material, typically a composite packaging bag of two or more layers, which is a kind of packaging design. 1. The first function of fruit plastic packaging bags is to protect food in it from discoloration, acidification and penetration. 2. Fruit plastic packaging bags need to show the food in it better to attract buyers when it’s displayed on shelf. 3. During storage and transportation, the fruit plastic packaging bags can protect the food well to avoid collision and extrusion. 4. Fruit plastic packaging bags and labels tell people how packaging or food is used, transported, recycled or disposed. 1. 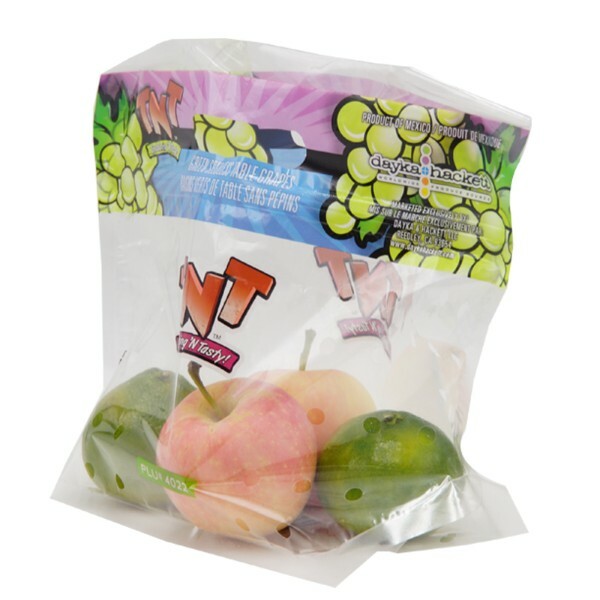 Fruit plastic packaging bags protect your products having traceability and security feature. 2. Fruit plastic packaging bags will make your products undergo an increased shelf life and better packaging appeal. 3. Fruit are protected from moisture and oxygen due to the barriers existing. 4. Fruit plastic packaging bags comes in various sizes and shapes. 5. For single use, stand up bag with zipper closures are useful. With over 17 years experience, fruit plastic packaging bags already have a completed production line. 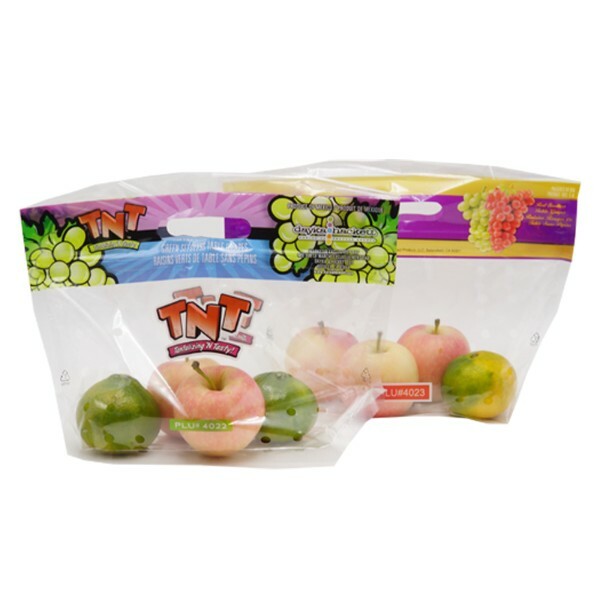 We are able to custom fruit plastic packaging bags quickly follow your request. If you want to break the usual, partner with us! We are looking forward to becoming your fruit plastic packaging bags supplier. Shop for our wholesale food pouches and bags today!